Lehigh is fortunate to own the print volumes of the earliest years of the Philosophical Transactions and other early science journals. Access to the content in these volumes was greatly expanded by the creation in 2000 of an archive of Royal Society publications created in concert with JSTOR. JSTOR is "a not–for–profit service that helps scholars, researchers, and students discover, use, and build upon a wide range of content in a trusted digital archive of over one thousand academic journals and other scholarly content." Through the JSTOR Royal Society electronic journal archive site, Lehigh students and faculty can page through and search volumes from the seventeenth century to the present. During its 350th anniversary celebration, the Royal Society is offering free worldwide access to the archive. Useful information previously difficult to locate in the first volume of the Philosophical Transactions of the Royal Society (1665) now immediately accessible through the JSTOR archive. ""An Extract of a Letter of M Hevelius, Written to the Publisher from Dantzick, August 17/27 1670. 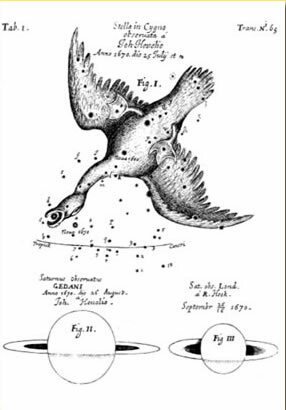 Concerning a New Star, Lately Discover'd in the Constellation of the Swan, together with the present Appearance of the Planet Saturn." Philosophical Transactions, 1670, 5, 2087-2091. JSTOR: A History. 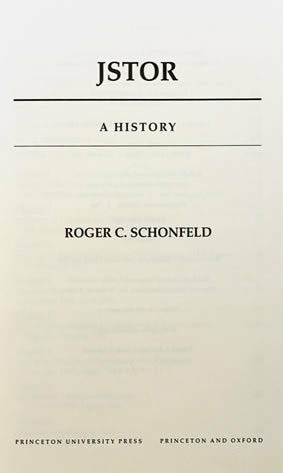 Princeton and Oxford: Princeton University Press, 2003. 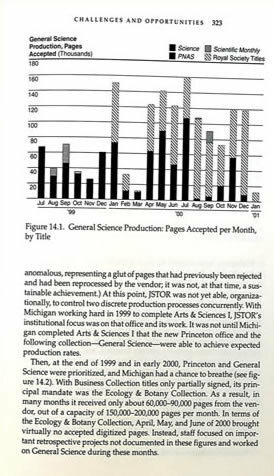 "In addition to new OCR procedures, the General Science Collection also contained illustrations of greater complexity than JSTOR had previously encountered. The older Royal Society issues had delicate line drawings, while the late twentieth-century issues of some of the titles had elaborate computer-created graphics. The latter were heavily laden with color, a new development. JSTOR consulted an outside expert to help develop procedures to deal with these complications."